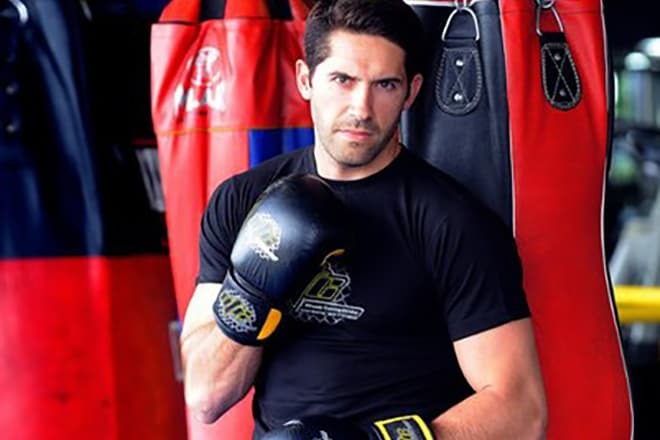 Scott Adkins is a talented British actor and a successful sportsman. A black belt in Kickboxing and Taekwondo and the ability to play perfectly in front of the camera provided Scott's brilliant film career. The action movies Undisputed II: Last Man Standing, Ninja, and Universal Soldier: Day of Reckoning brought him fame. The future actor and athlete was born in Sutton Coldfield, Birmingham, England, in the United Kingdom on June 17, 1976, under the zodiac sign of Gemini. Scott's parents, John and Janet Adkins, were not wealthy. Scott's ancestors had been butchers for generations. The boy was brought up together with his older brother Craig. The father and mother gave their children a lot of attention and all their spare time, trying to provide children with everything necessary and to help them succeed in life. Scott studied at Bishop Vesey's Grammar School but did not do very well there. Instead of the usual boring subjects, he preferred to do sports. When Adkins was ten years old, his father brought his son to a local sports club and signed him up for a judo section. From that moment on, martial arts became the meaning of life for the boy. A few years later, Scott became seriously interested in Taekwondo and trained with Ron Sergiew, a member of the Taekwondo Association of Great Britain. Then he mastered Kickboxing as well, learning from Anthony Jones, instructor of the Professional Karate Association (PKA). For a long time, Adkins pursued a dream of achieving great success in sports. Gradually he won a black belt in Kickboxing and Taekwondo, passed all the necessary fit tests to be allowed to compete for a black belt in Judo, Jiujitsu, and Wushu. Also, Scott brilliantly mastered the techniques of Ninjutsu, Karate, and Muay Thai. The guy's idols were the legendary Bruce Lee and not less famous Jean-Claude Van Damme. The biographies of these celebrities assured the young athlete that he could develop himself not only in sports but also in movies. 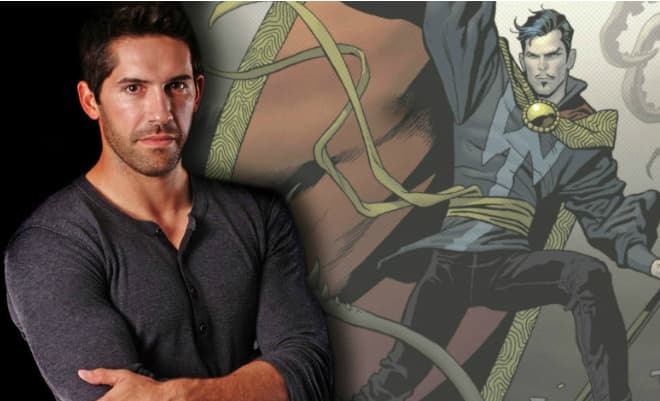 From a young age, Scott Adkins dreamed of having a career in the film industry and becoming a Hollywood star. So he decided to attend a drama class at a local College. The guy was shy and was terrified of the scene, but tried to overcome the fear. Even then, Scott decided that he would play characters with a fierce and robust nature, defeating enemies against all the odds. At the age of 21, Adkins was invited to the famous Royal Academy of Dramatic Art (RADA). But the poor guy could not afford the education, and he was forced to quit the Academy. Scott's disappointment was so great that he lost all hope of ever appearing on television. Nevertheless, fate was kind to him. Scott Adkins first appeared on television in the British series Dangerfield (1998), City Central (1999) and Doctors (2000). The cameo roles did not bring the aspiring actor fame and sustainable income but became useful for the acquirement of experience on the set. Significant changes in the acting career of Adkins occurred after he came to Hong Kong, the center of martial arts cinematography. The young actor was invited to star in the film Extreme Challenge (2001), directed by Wei Tung. In this project, Scott showed himself as a great actor and a true master of martial arts. Besides, the year 2001 brought Adkins a part in the Hong Kong martial arts action film, The Accidental Spy, which even starred the famous Jackie Chan. Viewers and directors appreciated the handsome and talented guy, and that provided a rapid development of his further career. 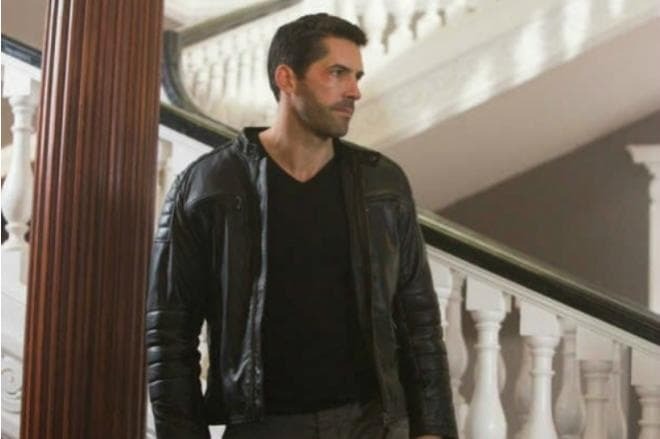 Scott Adkins began to receive offers from high-budget projects more and more often. For example, in 2003, he played in the action comedy film The Medallion, and in two years the action film Pit Fighter with the participation of the young man was out on the screens. Fame came to the talented actor in 2006. 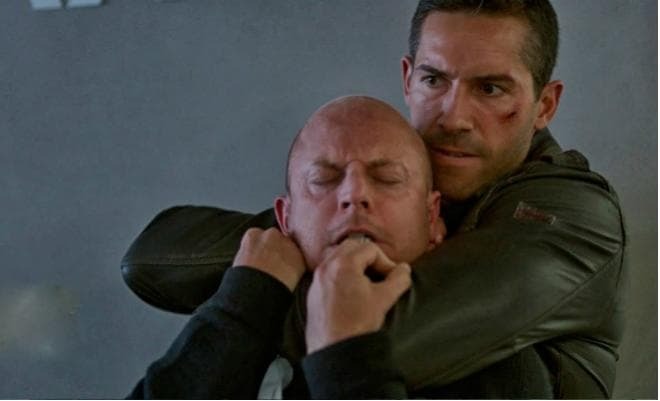 Then Scott Adkins played a significant role in the action movie Undisputed II: Last Man Standing. Together with him in the film starred the famous Michael Jai White. The dramatic story about the fighting in a Russian prison received the recognition of millions of viewers. For many, the character of the invincible Yuri Boyka became the hallmark of Adkins. Then the famous actor appeared in such high grossing films as the comedy film The Pink Panther (2006) with Steve Martin and action thriller film The Bourne Ultimatum(2007) with Matt Damon. In the superhero film X-Men Origins: Wolverine (2009) Scott Adkins played along with Hugh Jackman, Ryan Reynolds, and others. 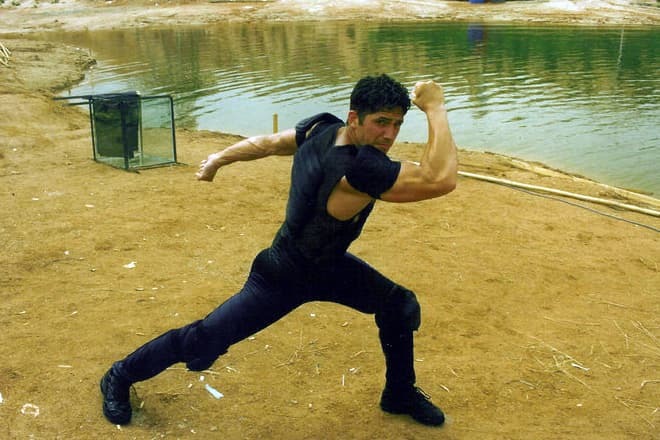 Thanks to the excellent physical shape, in 2009, Adkins managed to get the leading part in the martial arts/action film directed by Isaac Florentine, Ninja. Next year the movie Undisputed III: Redemption, which strengthened the star status of Scott was out on the big screen. Scott's career was developing rapidly because of his excellent command of martial arts which turned out to be very useful. In 2010, the movie Undisputed III: Redemption was added to the filmography of the actor, and it got two awards at the ActionFest film festival, for Best Fight Choreographer and Best Director. Two years later, he got the leading role in the film directed by John Hyams Universal Soldier: Day of Reckoning. Besides, the actor appeared in the sequel to the film The Expendables, where he worked on the set with Sylvester Stallone, Jet Li, Jason Statham, and other brilliant Hollywood stars. 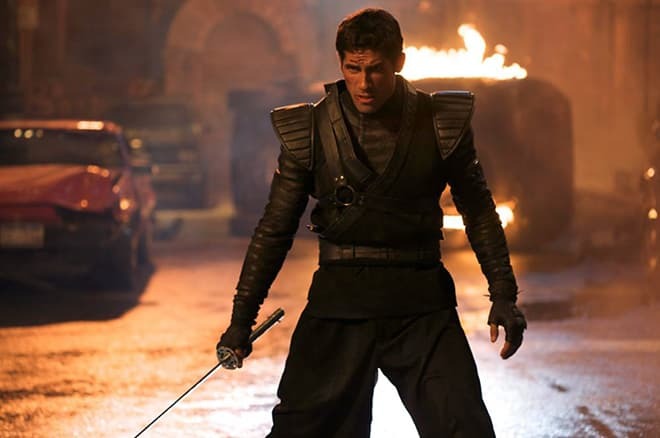 In 2013, there came out a sequel to Ninja, a martial arts action film directed by Isaac Florentine, under the title Ninja: Shadow of a Tear, in which Scott's character, Casey Bowman, has to take revenge for the murder of his wife. Then Adkins appeared before the audience in the character of King Amphitryon in the film The Legend of Hercules. In 2015, the famous actor appeared as the main character in four projects: war action film Wolf Warrior, action movie Zero Tolerance, action thriller film Close Range and horror movie Re-Kill. In 2016, seven films featuring the star appeared on television screens. Among the best works were the thriller film Criminal, the superhero film Doctor Strange, the eccentric British-American action comedy film Grimsby, and the action thriller film Eliminators. 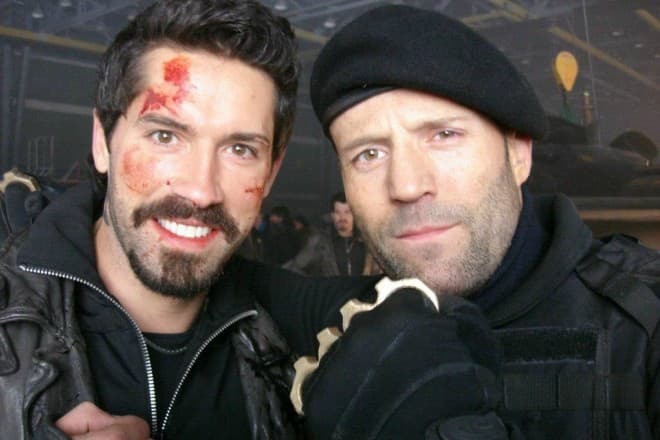 In the same 2016, Scott Adkins worked hard on the set of Boyka: Undisputed. On their accounts in social media, the actors of the film sometimes posted photos from the set, which immediately aroused increased interest among fans of quality action movies. It is noteworthy that in the film starred an excellent British athlete, Martyn Ford (as Koshmar), who played the enemy of Scott's character-Yuri Boyka. Viewers were able to observe a very spectacular sight. The film premiered on April 18, 2017. 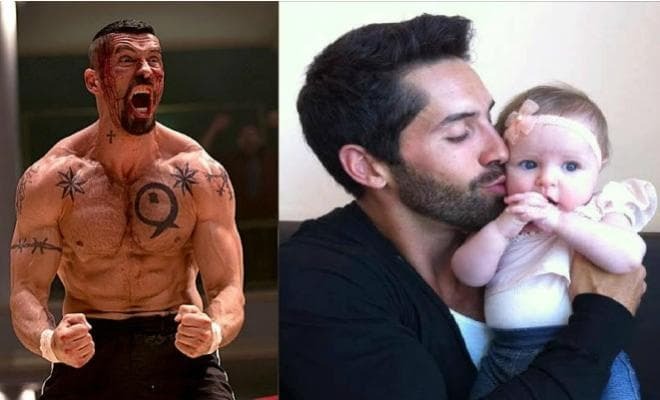 Scott Adkins prefers not to talk about his personal life. Nevertheless, journalists managed to find out that he is currently in a long-term relationship, and his girlfriend's name is Lisa. In an interview, the actor called the girl his bride. In 2011, Scott's girlfriend gave the man a daughter-Carmel Gabriella. The woman accompanies her husband at important events, but the artist still keeps silent about their private life. Therefore, nothing is known about Lisa: neither age nor occupation nor how and when the couple met each other. The family lives in Birmingham near Scott's parents' house. The actor loves his country, but he is not in awe of the hustle and bustle of London. The metronomy and comfort of his native city help Adkins to restore strength. Also, according to the actor, the life next to people who know the man from an early age does not let him get a swelled head. 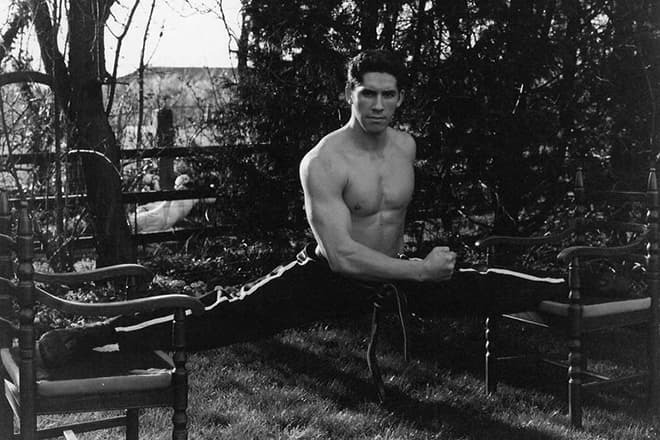 In between filming Scott Adkins keeps the body in shape with constant workouts. With the height of 5 feet, 9 inches the actor keeps his weight at the range from 181 to 189 pounds. He prefers healthy food and can rarely let himself deviate from the standard diet. Previously, the actor liked to play computer games for leisure, but after the birth of his daughter, he spends a lot of time with the child. Sometimes videos of the man spending quality time with his baby get posted on social media. A million fans are following the life and career of the actor on the officially verified account in Instagram. There Adkins shares photos from the set, shots from movies, videos with his followers. Less often celebrity puts up private pictures. In the spring of 2018, the actor came to visit Russia. In May, Scott met with his fans in Moscow as part of a massive joint training session. Earlier, in April, it was reported that Adkins and his beloved are expecting a second child. The actor confirmed that they were expecting a new baby in the house by posting a photo with his wife, on which there can be seen her rounded tummy. 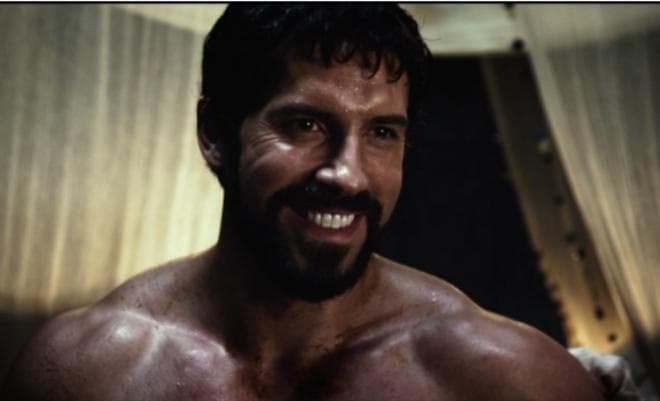 Scott Adkins has a net worth of $2 million. In the spring of 2017, Scott appeared in the leading role of the action movie Savage Dog, that told the story of a labor camp, the control over which was concentrated in the hands of the Nazi criminal Steiner. When a fugitive soldier of the Irish Republican army, well skilled in unarmed combat is sent to this prison, the head of the prison gets an excellent opportunity to make money on betting in fighting matches without rules. But the fugitive soldier has his own plans for the "concentration camp". The supporting role of Victor went to Scott in the film directed by Michael Cuesta, American Assassin. Dylan O'Brien, Michael Keaton, Shiva Negar starred in the movie along with other actors. In February 2018, the actor appeared in the character of the killer, Mike Fallon, in the action movie Accident Man. Scott's character can make any murder look like an accident. But the man goes to the other side when the ex-lover of the killer becomes a victim of his own team. Together with Adkins in the movie played Raymond «Ray» Stevenson, Ashley Greene, David Paymer, and others. Then the actor turned into the character of a man hired by criminals to collect debts. But one day the man gets into serious trouble because of a client. The film was released under the title The Debt Collector. 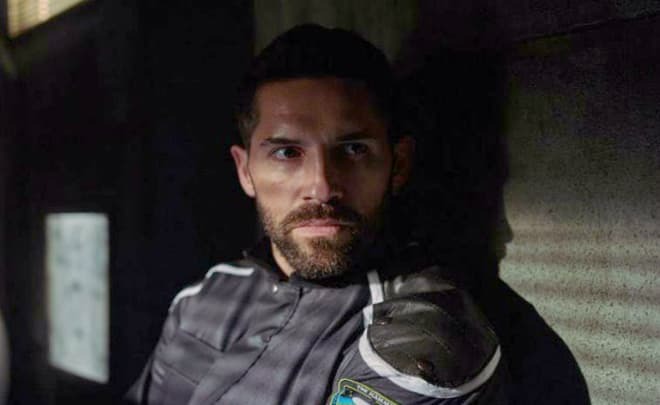 Another major role went to Scott Adkins in a fantastic action movie Incoming, that told the story of a space station which was turned into a secret prison. Everything gets complicated when terrorists seize the object and send it to Moscow. The actor got the leading part in the movies Karmouz War and Yip Man 4. Scott also played a cameo role in the superhero film Deadpool 2, (he appeared in archival footage as the Weapon XI/Deadpool from the movie X-men Origins: Wolverine). The upcoming film with the participation of Adkins is the Triple Threat, where the actor will again play a central male role. The plot of the movie is built around the daughter of a billionaire, whom a gang of serial killers tries to assassinate. Three long-retired fighters are going to confront them. Scott's colleagues on the set were Celina Jade, Michael Jai White, Iko Uwais, and others.